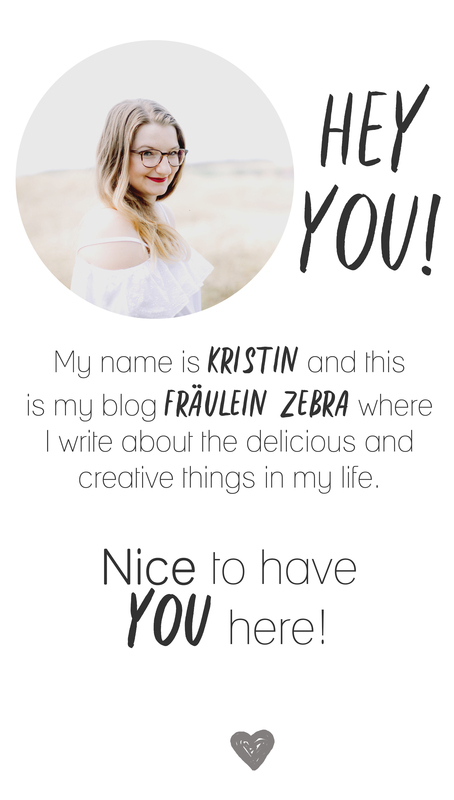 Pan di Stelle – Fräulein Zebra. It’s miserable outside, so I prefer to hide in my flat and daydream about our last vacation. This year went on a road trip around Italy. Except for the first stop it was completely unplanned, we simply drove to the places we wanted to see that day, hastily searched for campsites while drving and then set up our camp for the night. We had pretty great weather although it was fairly late in the year. 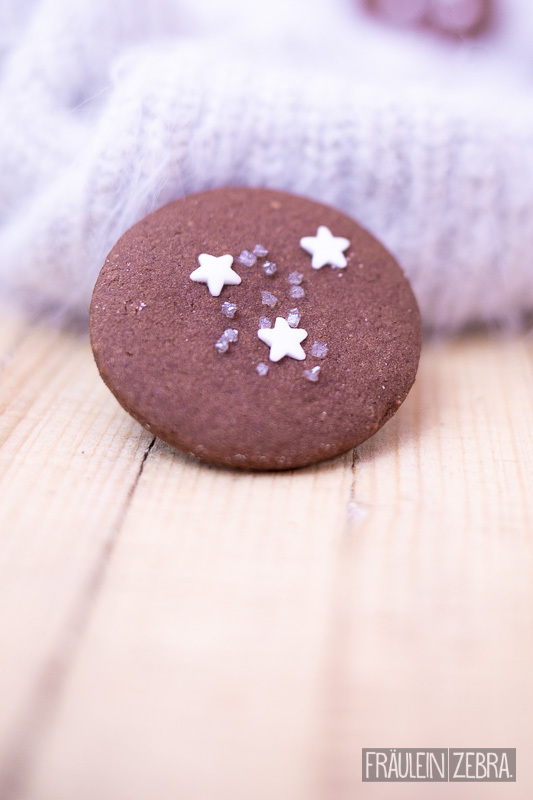 And in addition to all the great food that we have crushed on the spot, I have also stocked up my personal supply: Pasta, flour, olive oil, tomato sauce, … and also my very favorite Italian biscuits: Pan di Stelle! 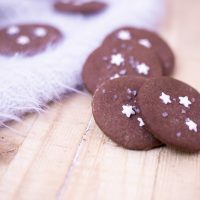 Those sweet chocolate biscuits with stars on them have stolen my foodie heart but unfortunately my supply is long gone. That’s why I decided to bake some for myself and the recipe is now available for you too! 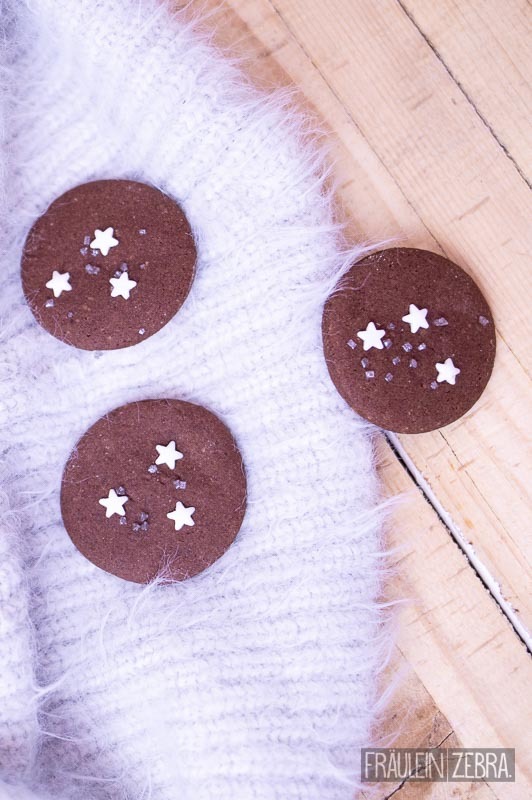 When sweet cocoa biscuits meet a shower of stars, the most delicious Italian cookies are made! Put the ground hazelnuts together with 2 tbsp of powdered sugar in a food processor and grind finely. Melt the chocolate, then cream the butter together with margarine and 1 egg. Now stir in the honey and the chocolate. 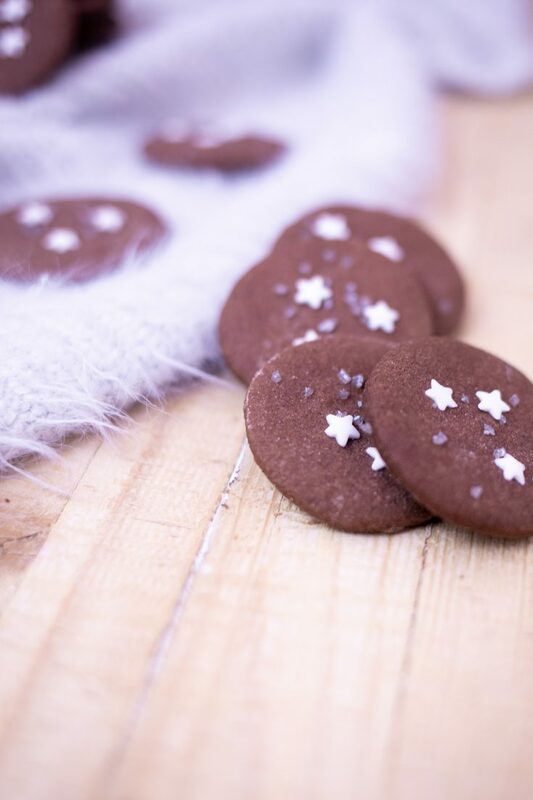 Mix the ground hazelnuts with flour, cocoa, baking powder, the remaining powdered sugar and salt. Form a well in the middle and add the butter-chocolate mix. Gradiually add the milk and knead everything until a smooth dough forms. Wrap in foil and refrigerate for about 30 minutes. 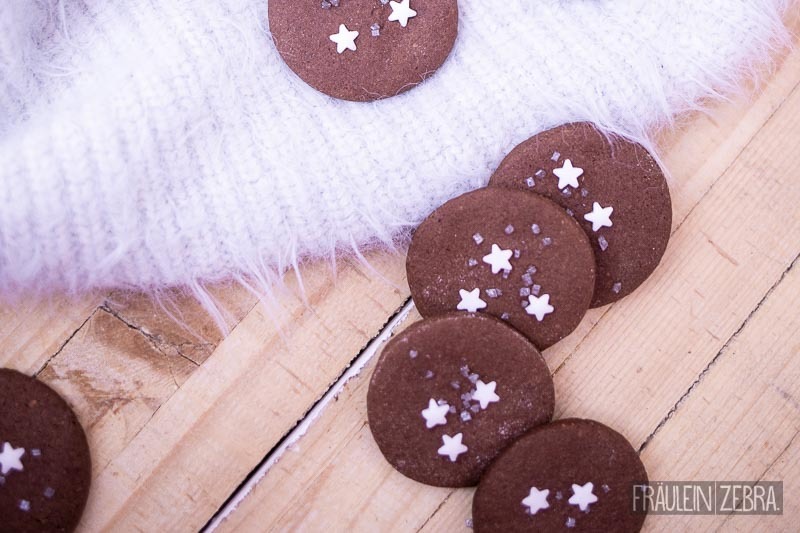 Roll out the dough on a floured work surface and cut out small circles (about 5 cm in diameter). Meanwhile preheat the oven to 180° C and line several baking trays with baking paper. 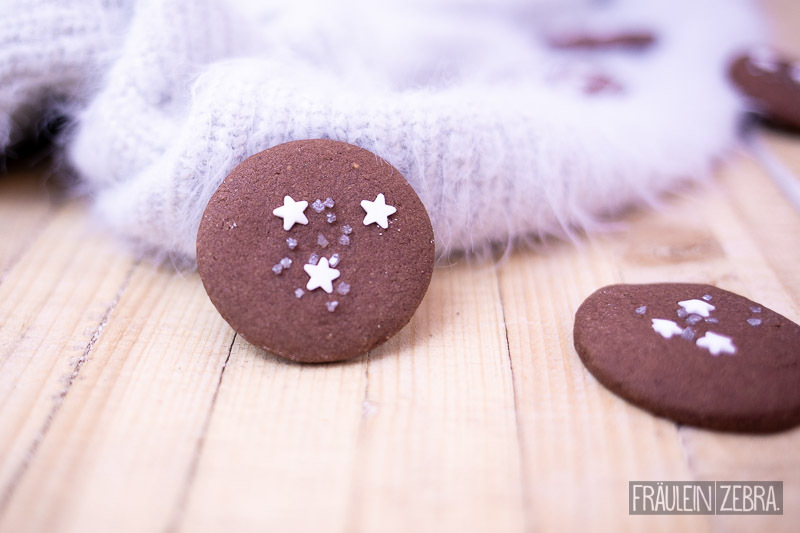 Put white sugar stars on the biscuits and sprinkle them with a little glitter sugar. Then bake for about 10 minutes, allow to cool well and serve! 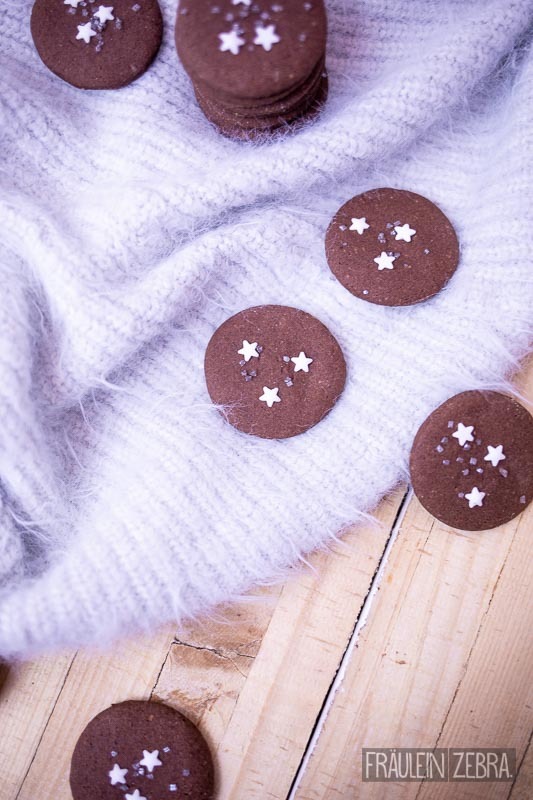 Do you know these delicious biscuits or do you maybe have a different favourite from your vacations?